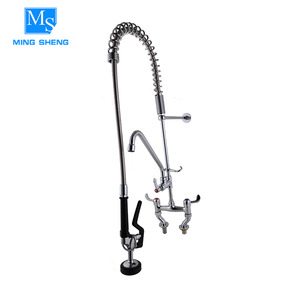 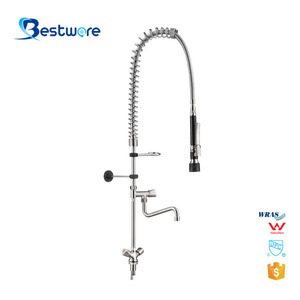 High quality Mini Pre-rinse Unit faucet restaurant Features: 1: Restaurant Faucet(Mini Pre-rinse Unit) 2: 8"(203mm)center deck mounted type 3: Heavy duty construction 4: 7"(180mm) riser 5: 22"(560mm)flexible stainless steel hose 6: Spray valve 7: The product includes check valve to prevent cross-flow 8: Add-on faucet,swing nozzle with 6"(152mm)length 9: The spray valve conforms to ANSI/ASTMF 2324-03 10:Ideal for food service,commercial kitchens,restaurant and hotel application 11:Hose and spray can interchange with T&S. 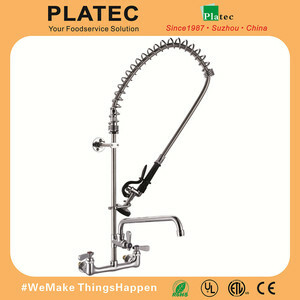 Alibaba.com offers 254 deck-mounted pre-rinse unit products. 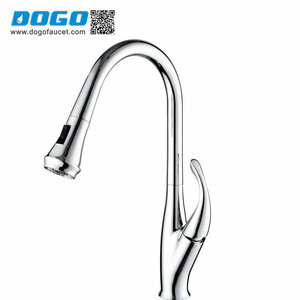 About 59% of these are kitchen faucets, 2% are basin faucets, and 1% are bar accessories. 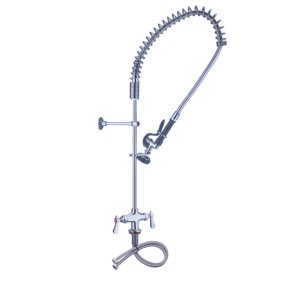 A wide variety of deck-mounted pre-rinse unit options are available to you, such as free samples. 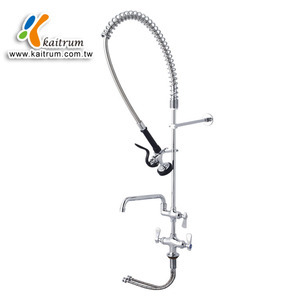 There are 170 deck-mounted pre-rinse unit suppliers, mainly located in Asia. 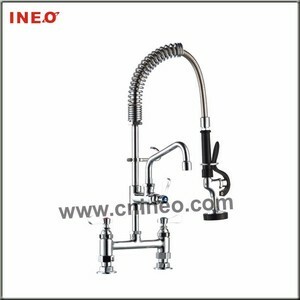 The top supplying countries are China (Mainland), Taiwan, and India, which supply 96%, 1%, and 1% of deck-mounted pre-rinse unit respectively. 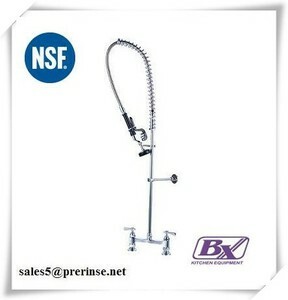 Deck-mounted pre-rinse unit products are most popular in North America, Western Europe, and Domestic Market. 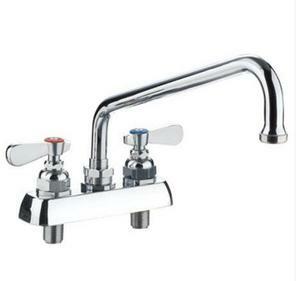 You can ensure product safety by selecting from certified suppliers, including 5 with ISO9001, 3 with Other, and 1 with OHSAS18001 certification.